The Sign Research Foundation is committed to understanding and representing diverse viewpoints in our research. Our work amasses the knowledge base and expertise of urban planners, code officials, transportation engineers, designers, architects, marketers, lawyers, business owners, sign fabricators, material manufacturers, and other fields of practice. We partner with associations, non-profits, universities, corporations, governmental organizations, and research institutions to build the strongest network of individuals committed to exploring the most effective sign strategies for communities and cities. Workshops for hundreds of planners held all over the USA. Co-sponsored, multi-disciplinary research. Scholarships to emerging professionals. These are just some of the positive outcomes of partnering with organizations who represent planners, architects, designers, sign companies, developers and academics. SRF, in collaboration with organizations like the ones below, is making a measurable impact on the perception of how sign codes affect small businesses and the vitality of local communities. SRF has worked for seven years to build a comprehensive, collaborative network within academia. This coalesced with the formal establishment of AACSRE. 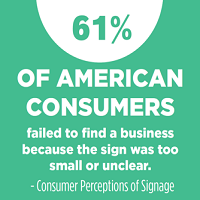 AACSRE encourages and facilitates cross-disciplinary dialogue on signage research needs. AACSRE is made up of 17 leading academic institutions who help guide the SFI research agenda and introduce sign- related graduate programs within colleges of design, art, architecture, engineering, business and law. The council is chaired by Dr. Dawn Jourdan (University of Oklahoma) and vice-chair Dr. Gene Hawkins (Texas A&M and TTI). The APA represents more than 35,000 planners. 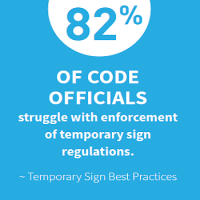 Planners attending local/state/regional meetings of the APA learned valuable information about signs and how to craft sign codes in meaningful ways that contribute to thriving communities. In 2015, these presentations were made to planners in Arizona, Ohio, Georgia, Maine, Idaho and Michigan, and to the regional chapters serving Missouri, Kansas, Oklahoma and Arkansas, as well as Maine, New Hampshire and Vermont. SRF's development of Signs and the Downtown Experience opened the door for a partnership with the International Downtown Association. IDA is a world leader and champion for vital and livable urban centers, and SRF's research is used by its network of diverse practitioners to foster community building. In November 2015, SRF's Executive Director was appointed as Co-Chair of IDA’s Top Issues Research Council — a position awarded to only 12 IDA thought leaders. SRF has always had the committed support of ISA and its Affiliated Associations. This partnership is a synergistic relationship that has made significant progress in improving the regulatory environment for on-premise signage. 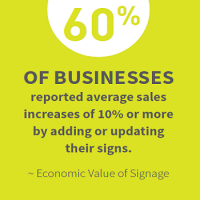 ISA is able to use the research developed by SRF and its academic partners to prove the economic value of signage and help local officials understand key technologies, which are often over regulated. The jointly sponsored Planning for Sign Code Success™ workshops are proof that education works. The 2015 day-long training sessions took place in seven cities throughout North America — the planners attending these events represent communities with a total population of over 100 million. SEGD members develop static and digital wayfinding systems, signage, environmental graphics, exhibition content, multimedia installations, public art, user interfaces and branded/corporate environments. The foundation has a long, mutually beneficial relationship with SEGD and its members. The first collaborative effort of the two organizations resulted in the Urban Wayfinding Manual, which remains the single most downloaded piece of research in SRF's extensive library. SEGD members often serve on research advisory councils and contribute case studies to supplement SRF's findings.